The dawn of the new ‘Collaborative Economy’ is upon us. While there are many adjectives being thrown out there to describe this big economic shift (New, Sustainable, Sharing, Creative … Economy), at the core of the movement is a drive to collaborate across the business ecosystems and bring the next generation of big ideas to life. Perhaps there is no bigger indication of this movement than the advent of crowdfunding, which in the space of a few years has already began to reshape the entire financial landscape. Late last year, we travelled through Spain to research elements of this new ‘Collaborative Economy.’ The most interesting part of the research process was seeing how different entities were coming together to form a more cohesive and fluid business ecosystem. When you combine crowdfunding platforms / collaborative consumption portals / community hubs, the whole framework for conducting commerce starts to shift. Rather than being driven by competition in a top-down fashion, commerce is being initiated by the community from the bottom up based on real needs. In that light, we start to look at the possibilities enabled by ‘collaborative commerce.’ As these entities start to solidify themselves in the ecosystem and the networks develop, those networks become markets and the communities themselves will be driving commerce through them. And it’s not going to be the big platforms (ie. 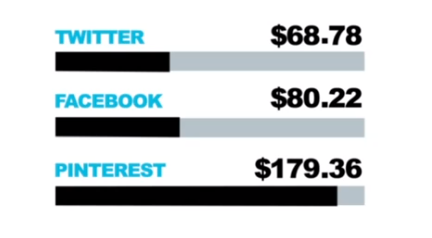 Facebook and Twitter) that drive all these transactions, although they will play a part in it, but the most cohesive platforms (mainly niche) that build the tightest community interactions. A recent article on Social Media Today sheds more light on this trend. The leaders in ‘Social Media Marketing and Commerce’ were small and mid-sized web-only merchants, many of whom were new in the space; but they all shared one thing in common, they put social media at the forefront of their business strategy. It wasn’t big-budget marketing that drove these transactions either, but a sincere focus on developing real relationships with customers through social channels. Fab.com is considered the darling in this space, where 50% of the site’s membership registration comes from social media. Beyond just the SME’s, artisans and merchants are also joining in, as can be seen by Etsy’s fantastic fiscal performance last year. In 2012, sales for the company were up 70%, new buyers increased 83% and there were 10M new members. Etsy allows such artisans and small merchants to create micro e-commerce stores to sell their products online and has built a loyal and diligent community to help protect the integrity of the listed products. These examples are not simply an anomaly or the result of hyped-up advertising, but rather they represent part of a much bigger movement towards a more social and collaborative way of doing business. As we are now starting to see a new era of businesses that are being built from the ground up using social technologies (ie. crowdfunding, social media), these community-driven enterprises will continue to expand their social presence in order to drive sales. From the small baker on the corner to the upstart technology company downtown, the way commerce is conducted is being radically redefined as part of the advent of the Collaborative Economy. As a further example, it was reported that consumers who were referred through Polyvore, a community of young stylistas who create and curate personal style collections (Lookbooks), had an average order size of $220. Bringing together a cohesive online community on a clean, vibrant platform is a lethal combo these days. Overall, the ‘Collaborative Commerce’ trend signals that the pieces are fully in place for anyone to start empreending (see post The Reason to Empreender – Impact). The new era of business is about creating enterprises that work together in tandem to drive commerce that matters. Instead of buying a cheap product from Asia, people can start to buy great products from the people they know the best and reestablish trust in the business environment. Technology has enabled the connections to occur, now it’s time for the next generation to capitalize.